HCM City (VNA) – The Department of Construction in Ho Chi Minh City sought the municipal People’s Committee’s approval for a proposal to build more than 2,000 additional apartments. 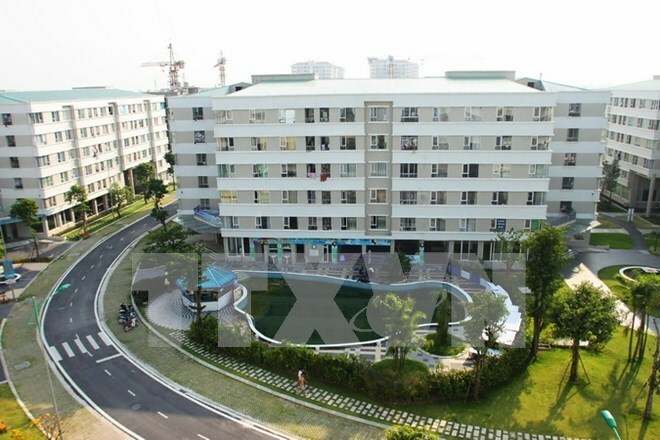 The apartments are part of two social housing projects, the CC1 building and the Chuong Duong Home, funded by the Construction Corporation No.1 (CC1) under the Ministry of Construction and the Chuong Duong Joint Stock Company, respectively. The CC1 project will be built for 210 billion VND (9.45 million USD) on nearly 3,000 square metres on Nguyen Van Dung Street in Ward No. 6 in Go Vap district. The 18-storey building is expected to offer 304 apartments ranging between 54-60 square metres each for low-income earners by December 2018. Meanwhile, the Chuong Duong Home, worth 674 billion VND (30 million USD), includes five 13-storey buildings on 26,340 square metres in Truong Tho ward, Thu Duc district. It will have 1,777 apartments ranging between 40-75 square metres.